Our most charismatic chalet in the resort is situated in the old part of the village just metres away from the iconic church and few minutes' walk from the slopes. 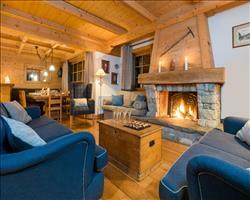 A perfect location to be based for your stay in Val d'Isere. Ski hire is provided by Killy Sport, just a 5 minute walk from the chalet. This chalet, a spectacular farmhouse conversion, is bursting with character and boasts a fabulous location in the very heart of Val d'Isere's old town. Sleeping 10 guests this is a great choice for larger groups. When our architect transformed this 200 year old farmhouse a few years ago, he did a great job to retain the original stone and timber features and develop a quirky yet comfortable chalet within. The accommodation sits over three floors, with a rustic farmhouse kitchen and 5 en suite bedrooms. Of course, we kept the open fire and installed flat screen TV, WiFi and a music system so you can relax after a day on the mountain. And for the 2017/18 season, we transformed the basement into a spa suite with small counter current pool and hammam. 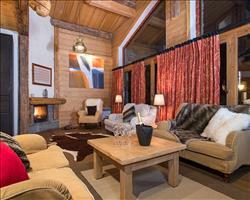 If you're looking for a chalet with charm and character then The Farmhouse is the perfect choice. Your dedicated chalet hosts will provide daily breakfast, home made afternoon tea, and a 3 course evening meal on 6 nights and you will enjoy champagne and canapes on the first and last evening. (First floor) - Twin bedroom with en suite bath, hand basin and WC. (First floor) - Twin bedroom with en suite shower, hand basin and WC. (Second floor) - Twin bedroom with en suite shower, hand basin and WC. (Second floor) - Twin bedroom with en suite bath, hand basin and WC. (Third floor) - Twin bedroom with dressing room, en suite bath, hand basin and WC. Space for a cot. We update The Farmhouse's details often, but facilities do change. e.g. some extras listed by the supplier as "free" or included might only be for the first time you use them, or for one time per party, then charged for further use. If any specific feature is essential to your holiday, make sure you ask us to confirm the details of it before you book your holiday. This package holiday to The Farmhouse in Val d'Isere, France departs Sunday 1st December 2019, for a 7 night stay on a "catered chalet" board basis. A local tourist tax (Taxe de Sejour or Kurtaxe) is levied by many councils in European ski resorts. It varies by standard and type of accommodation and is age dependent, so not everyone is charged. It's not included in the basic price of your holiday and is usually paid locally. For reference, the average charged in winter 15/16 was between 50p and £2 per person, per night. Val d'Isere lift pass price last reported as €294 (adult 6 day). Ask for a quote when booking The Farmhouse. 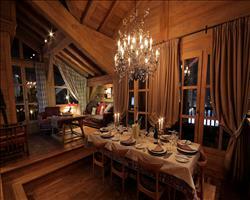 Bellevarde Lodge ... Val d'Isere France, Gatwick to Geneva 1st December. Chalet Club Belle... Val d'Isere France, Gatwick to Grenoble 1st December. 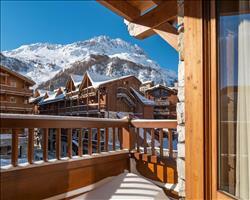 Chalet Madrisah Val d'Isere France, Gatwick to Grenoble 1st December. 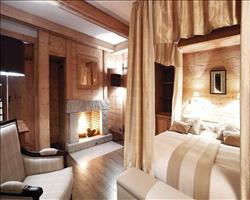 Chalet Klosters Val d'Isere France, Gatwick to Geneva 1st December. 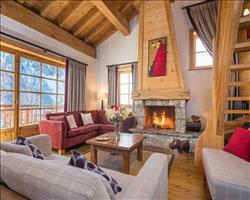 Chalet Davos Val d'Isere France, Gatwick to Geneva 1st December. Petit Choucas Val d'Isere France, Gatwick to Grenoble 1st December. 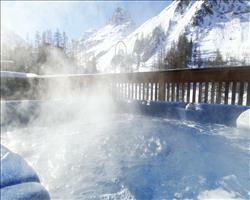 Chalet Bel Sol Val d'Isere France, Gatwick to Grenoble 1st December. The Farmhouse is in a lovely central village location. Hosts Joe & Fred keen and managed to produce some good food despite small galley kitchen and malfunctioning oven. Living and dining space rather tight for 12-plus. Master bedroom 5 very spacious. Everything you'd expect from a chalet and it's hosts and more. 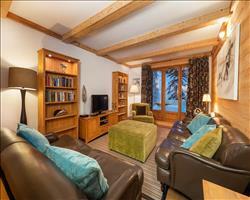 Fabulously located clean chalet near to town and slopes. Our hosts Fred and Joe couldn't do enough for us and were always ready to help. Beautiful freshly prepared food and the option of a cheese board every night. Would highly recommend. Joe, Katie and Fred looked after us so well this week. We all felt very spoilt waking up to breakfast, coming home to afternoon tea laid out and then a sumptuous dinner. We are taking home great memories and extra kilos! The Farmhouse itself is a gorgeous old house that fit our group of 2 families perfectly. Val d'isere is beautiful and a huge, wonderful mountain to explore. Loved every minute of our time here. I'm really pleased to be able to give you some honest feedback on our recent stay at the Farmhouse. Firstly, the Ski host needs more skill in navigating his way around the mountain, identifying lift names, understanding bus transfers, communicating effectively etc. He's a lovely chap, but his social skills aren't in line with other staff. Vicky (chalet host) was AMAZING and really went out of her way to assist us all over and above her daily responsibilities. 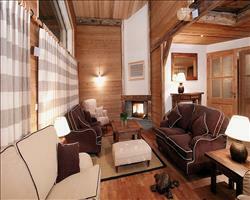 The chalet was fabulous and overall, the price point for value was excellent. I felt that the quality of the food on offer was brilliant. More variety in desert would be beneficial as there were 2/3 nights with fruit based offers that could've been substituted for something entirely different, ie chocolate mousse. I loved the feel overall and thought the tea/cake after ski offer was a nice touch! Overall, we loved our holiday and would sincerely like to thank everyone that assisted in making our time so enjoyable and memorable. We are already planning our next adventure. "Excellent Week in the Farmhouse"
We have just finished a week in Val d'Isere in the Farmhouse. What a great week it was. We had a great time and the snow conditions were ok but what really made the week was the excellent experience from VIP. Our chalet hosts were spot on and totally professional. Both Fred & Joe, our chalet hosts were very passionate & nothing was too much trouble for them during this enjoyable week. The food was first class with some excellent dishes & cakes in the afternoon Thanks so much lads & keep up the good work & have a great season.